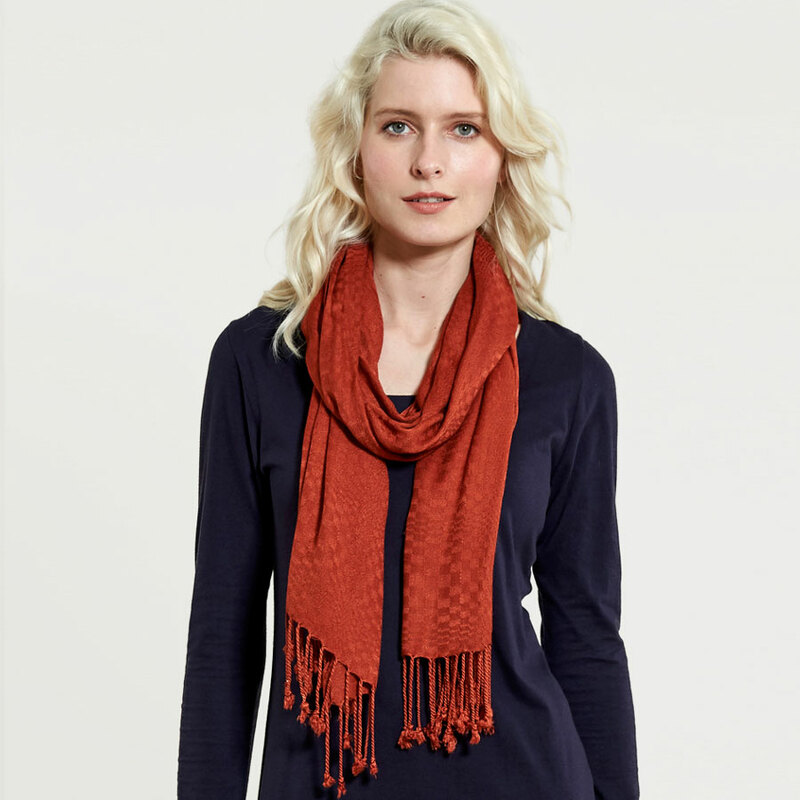 This lightweight bamboo viscose scarf in sienna orange is guaranteed to brighten any outfit, perfect for a grey day. With a square weave and fringed ends, the sustainable scarf is the perfect ethical outfit accessory. Produced with azo-free dyes and suitable for vegans. Bamboo is a sustainable material, growing at a fast rate with little water and resources. As a natural fibre it is breathable and biodegradable as well as having anti-bacterial properties. Nomads know that creating bamboo fabric is very chemical intensive, which is why they ensure any processing water is correctly treated before being released back into the environment. There are currently no questions to display about Nomads Fringe Viscose Scarf - Sienna.